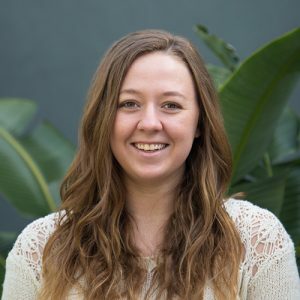 The newest addition to DEVENEY- Account Coordinator, Paige Mitchell talks her inspiration, outlook on life, and why she loves the Big Easy in today’s installment of “Get to Know Us”. In college, I was the Marketing and Communications Intern for Charleston Wine and Food Festival. I worked with such an amazing team and had such a great time, I decided to continue working in the industry. I studied International Business with a minor in French. I’m a newbie! I’ve been in the industry for about a year and a half now. What continues to motivate you in this industry? I love telling a business’s story and then helping and watching that business grow. During my internship, one of my jobs was to get live content for our social media platforms. Being able to go out and enjoy the events, capturing some of the best moments made the rest worth it. I try to always keep a positive outlook. I think staying positive throughout your busiest time helps keep you motivated and excited for the week ahead. What’s your favorite thing about New Orleans? The Architecture. That sounds nerdy but I love walking through the city and feeling like I’m in a different country. The food doesn’t hurt either. Number one piece of advice you would give your younger self? “What’s meant for you, will come to you.” I got this advice from my grandma by the end of my senior year and it made all the difference in how I looked at job rejections. The DEVENEY team works hard to empower and support each other. They have a great sense of work/life balance and strive to be better every day. I love to play volleyball or go to a yoga class but I’m also a bit of a bookworm and easily can spend the night on my couch reading. I also really love baking!